In addition to releasing a string of successful records between 1912 and 1949, Al Jolson achieved pre-eminent stardom on Broadway, hosted several radio series, and became the first important figure of the sound-era of motion pictures. His performing style was brash and extroverted; he billed himself as "the world's greatest entertainer," and he was known for his slogan, "You ain't heard nothin' yet!" He popularized a large number of songs that benefited from his shamelessly sentimental, melodramatic approach, one which, especially when executed in front of live audiences, was considered by those who saw it to justify all his claims to greatness. In middle age, he came to be considered hammy and old-fashioned, but he mounted a major comeback late in life. A more serious impediment to his long-term legacy, however, is that he was the foremost blackface entertainer of his day, and his reputation has suffered as the racist implications of minstrelsy have become more apparent to later generations. Nevertheless, he was, at his peak in the 1920s, the most successful entertainer in the U.S..
Jolson's date of birth is uncertain. He was the son of a cantor who emigrated to the U.S. in the early 1890s, settling in Washington, D.C. and followed later by his family. Jolson arrived in the U.S. in April 1894, probably at about the age of eight. He displayed an interest in show business as a child. As early as the summer of 1896, he and his older brother Harry were street entertainers. In September 1899, he made his first stage appearance in the play Children of the Ghetto. 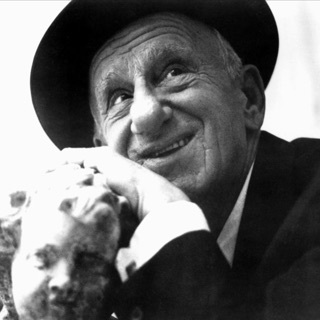 He began working in vaudeville early in the 20th century, often appearing as part of an act with his brother. He was working in blackface as a single by June 1906. In 1908 and 1909, he was a member of the leading minstrel troupe of the time, led by Lew Dockstader. He crossed over to the legitimate stage by appearing in the Broadway show La Belle Paree, which opened at the Winter Garden on March 20, 1911. Continuing to perform in blackface, he became a star in the show, which ran 104 performances. He was given a more prominent role in the next Winter Garden production, Vera Violetta, which opened November 20, 1911, and ran 112 performances. By now, he had attained sufficient attention that Victor Records signed him to a contract, and he made his first issued recordings on December 22, 1911, a single combining two songs from Vera Violetta, "Rum Tum Tiddle" and "Ragging the Baby to Sleep." (Although there were no formal charts at the time, various researchers have made estimates of records' popularity, and they agree that the single was a commercial success.) In The Whirl of Society, which opened on March 5, 1912, Jolson introduced the character of Gus, a wily African-American servant who would be his frequent on-stage persona from then on. The show ran 136 performances in New York, then it went on tour from September 1912 to January 1913, and he remained with it. From this time on, he would tour extensively around the country with his shows, becoming a national rather than just a Broadway star. His next record hit was "Ragging the Baby to Sleep" in the summer of 1912. He opened in his fourth Broadway musical, The Honeymoon Express, just after returning to New York; it opened February 6, 1913, running 156 performances, then toured from September 1913 to May 1914. In March, he recorded the comic song "The Spaniard That Blighted My Life" from the score and earned another hit. 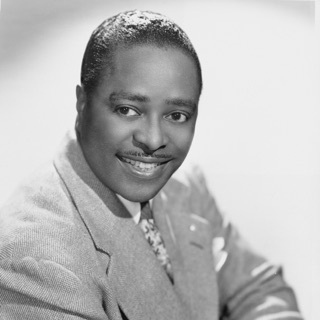 "You Made Me Love You," which he interpolated into the show; it became his first hit under a new contract with Columbia Records that had commenced in June 1913. It was notable as his first success with a romantic ballad and began his transition from being defined primarily as a comic to being thought of as a singer. By now, the stage shows in which Jolson appeared were merely vehicles for him. He added and dropped songs as he liked, and it was not unusual for him to dismiss the cast and turn the performance into a solo concert, much to the audience's delight. Dancing Around, his fifth show, opened at the Winter Garden on October 10, 1914, and ran 145 performances, with a tour that lasted from February 1915 to December 1915. His biggest record hit during this period was "Back to the Carolina You Love" in January 1915. His sixth musical, Robinson Crusoe, Jr., opened in New York on February 17, 1916, for a run of 139 performances, followed by a tour that took up the entire 1916-17 season, not closing until November 17, 1917. The biggest hit to emerge from the show was "Yaaka Hula, Hickey Dula" in June 1916. Sinbad, his seventh show, opened on Broadway on February 14, 1918, and ran 164 performances. Demonstrating the singer's massive popularity, it toured for three years, not closing until June 25, 1921. Over the course of this long run, he interpolated many songs into the show that became record hits, and he also recorded hits not related to the show. The biggest included: "I'm All Bound 'Round With the Mason-Dixon Line," the World War I-themed "Hello, Central, Give Me No-Man's Land," "Rock-A-Bye Your Baby With a Dixie Melody," "I'll Say She Does"; the post-war-themed "I've Got My Captain Working for Me Now," "Swanee" (giving George Gershwin his first big success as a songwriter), "Avalon," and "O-Hi-O." Starting with "I'll Say She Does," Jolson's name began to appear as a co-songwriter on some of the songs he popularized; it is generally assumed that he did not actually make substantial creative contributions, but that he was "cut in" on the publishing money as an inducement to sing the songs. Another song from this period with which he is closely associated is "My Mammy," which he introduced on-stage toward the end of the run of Sinbad and continued to sing thereafter, although he did not record it until later. When Jolson next opened in his eighth musical, Bombo, in New York, it was at a theater named after him, Jolson's 59th Street Theater. The show began on October 6, 1921, and ran 218 performances on Broadway before beginning a two-year road trip that lasted until May 1924. As usual, there was a series of hit records during this period, some of which he also sang on-stage; among them were "April Showers," "Angel Child," "Toot Toot Tootsie (Goo'bye! )," and "California, Here I Come!" (The last was his first hit for Brunswick Records after a decade on Columbia.) In between the end of the run of Bombo and the start of his next show, he had two further record hits, "I Wonder What's Become of Sally?" in November 1924 and "All Alone" in January 1925. His ninth Broadway musical, Big Boy, which opened January 7, 1925, ran for only 48 performances in New York due to the singer's health problems, but he toured in it through the end of the 1927 season, meanwhile scoring such record hits as "I'm Sitting on Top of the World" and "When the Red, Red Robin Comes Bob-Bob-Bobbin' Along." Jolson appeared in one of the first experimental films to match sound with picture, the short Al Jolson in a Plantation Act in October 1926. In the summer of 1927, he filmed the first full-length feature to use sound, The Jazz Singer, based on a play that loosely followed his own biography, concerning a cantor's son who becomes a secular singer over his father's objections. The film opened October 6, 1927, and forever changed the motion picture industry, meanwhile expanding his stardom to the movies. Rather than going into yet another stage musical, he returned to celluloid and made his second feature, The Singing Fool, which opened in September 1928 and became the highest grossing film in history, a position it held until the release of Gone with the Wind in 1939. Naturally, record hits flowed from the score, notably "Sonny Boy" and "There's a Rainbow Round My Shoulder." The novelty appeal of sound quickly subsided, and audiences began to tire of a glut of movie musicals, so Jolson's next films, Say It With Songs (August 1929), Mammy (March 1930), and an adaptation of his stage show Big Boy (September 1930), were not successful, though "Little Pal," from the first of these, was another record hit. At the same time, a wave of soft-voiced "crooners" such as Rudy Vallée were changing listeners' tastes in singing, and Jolson's full-voiced performances were coming to seem dated. Though he had relocated to California with his third wife, actress/dancer Ruby Keeler, he returned to Broadway in The Wonder Bar, which opened on March 17, 1931, for the first of 86 New York performances, after which it toured through the 1931-32 season. Returning to California, he shot the imaginative movie musical Hallelujah, I'm a Bum, a fantasy about the Depression featuring rhymed dialogue and songs by Rodgers & Hart. In November 1932, the month of its release, he launched his first radio series, Presenting Al Jolson, which ran into February 1933. Meanwhile, he stopped making records, cutting his final sessions for Brunswick in December 1932. In August 1933, he took over the long-running musical variety series Kraft Music Hall on radio and hosted it for the 1933-34 season. His next film, released in February 1934, was a movie version of Wonder Bar, followed by Go Into Your Dance (May 1935) and The Singing Kid (April 1936). On radio, he hosted Shell Chateau in 1935-36 and Café Trocadero in 1936-39. By the end of the 1930s, Jolson was semi-retired, taking supporting roles in films in which he sometimes played himself or someone very much like him, notably Rose of Washington Square (May 1939), Hollywood Cavalcade (October 1939), and Swanee River (December 1939). He made a final return to Broadway in Hold On to Your Hats, which opened September 11, 1940, running 158 performances and touring into the fall of 1941. The entry of the U.S. into World War II inspired him to travel the country, and eventually the world entertaining American troops. He returned to radio with a new series, Al Jolson, for the 1942-43 season, but was back on the road to military installations by summer 1943. He was slowed down by bouts of malaria and pneumonia, and finally was forced to stop in late 1944, then underwent an operation to remove part of his left lung in early 1945. The surgery caused his voice to drop to bass register, but he kept singing, returning to the movies in Rhapsody in Blue (June 1945), a film biography of George Gershwin in which he played himself. 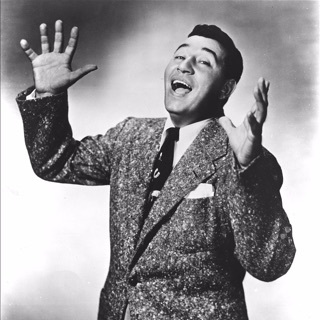 His rousing performance of "Swanee" led Decca Records to sign him to his first record contract in more than 12 years. It also inspired Columbia Pictures to undertake a film biography of him, and in October 1946 The Jolson Story, starring Larry Parks, his singing voice dubbed by Jolson, opened to enormous success, becoming one of the Top Ten grossing films in history up to that time. By the late 1940s, Jolson's dramatic singing style was back in fashion. "Anniversary Song" and a re-recording of "April Showers" became gold-selling hits, and the Decca album Al Jolson in Songs He Made Famous, a virtual soundtrack album, spent 25 weeks at number one on the Billboard chart, followed to the top of the chart by Al Jolson Souvenir Album and Al Jolson, Vol. 3. The albums consisted largely of re-recordings of the old hits. His career completely rejuvenated, Jolson was re-hired as host of Kraft Music Hall, appearing on the radio series for the 1947-48 and 1948-49 seasons. Naturally, there was a sequel to The Jolson Story, as Jolson Sings Again opened in August 1949, accompanied by an identically titled album that spent nearly a year on the charts. He took a break from his comeback to go to Korea at his own expense and entertain the American troops fighting in the Korean War in September 1950. The month after his return, exhausted by his efforts, he suffered a fatal heart attack. In the years immediately following Jolson's death, he was remembered on record largely through his final recordings for Decca, which were reissued frequently. For example, in 1957, the label simultaneously released five LPs under the overall heading The Jolson Story, with the subtitles You Made Me Love You, Rock-A-Bye Your Baby, Rainbow 'Round My Shoulder, You Ain't Heard Nothin' Yet!, and Jolson Story (Memories). The double-LP The Best of Jolson, released in 1962, when it made the Top 40, long served as the singer's primary compilation. Meanwhile, his Victor, Columbia, and Brunswick recordings mostly languished out of print. Sony Music, which had come to be the repository of the Columbia and some of the Brunswick recordings, addressed this in 1994 when, as part of its Art Deco series of archival reissues, it released the CD You Ain't Heard Nothin' Yet: Jolie's Finest Columbia Recordings on Columbia/Legacy. Another notable release was the soundtrack compilation Let Me Sing and I'm Happy: Al Jolson at Warner Bros. 1926-1936, issued by Rhino in association with Turner Classic Movies in 1996.